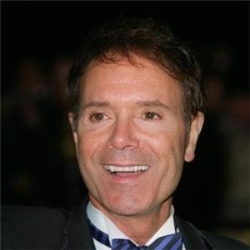 Sir Cliff Richard has begun to fight back against losing his conservatory by lodging an appeal to keep his beloved extension after he failed to get planning permission for the home improvement. The singer was denied planning permission earlier this year after his developer did not secure the correct rights and was ordered to take the 17ft by 13ft structure down. He was told by the company that built his conservatory that he did not need planning permission, which turned out to be incorrect, a report in the Daily Mail claimed earlier this year. Those thinking of getting an conservatory should note that Anglian will take care of the planning process from the start to finish to ensure this kind of incident doesn’t occur. Sir Cliff has now lodged an appeal to keep the conservatory on the Wentworth Estate in Virginia Water, Surrey, which was installed three years ago. A friend of the singer said: “He was not too happy at all about the council saying the conservatory was too big. A spokesperson for Runnymede Borough Council confirmed the appeal, adding that he would await the decision. Anglian Home Improvements have been bringing beautiful conservatories to you for over 20 years. For more information on our range please click here.